Everyone’s looking for something different when it comes to custom photo sessions. There is so much fun in being creative with themes with my clients, and switching things up. My favorite sessions will always be the ones that are simple, organic, and natural. This set up was exactly that. 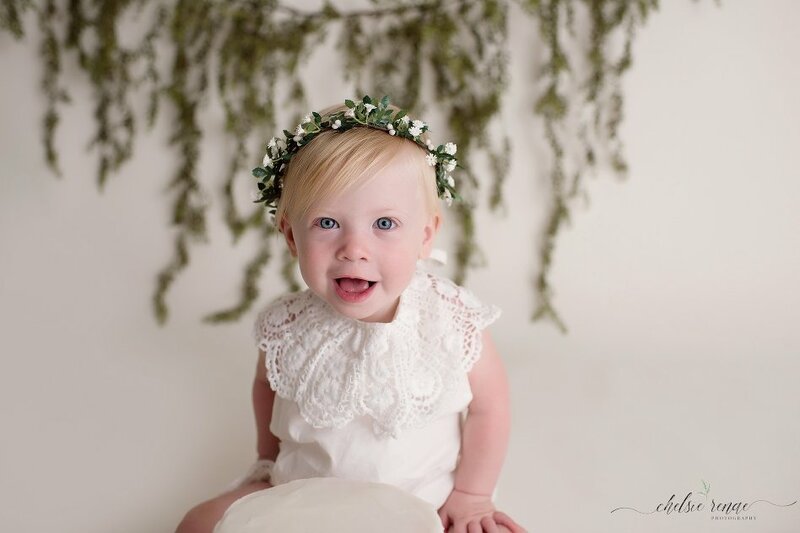 All in white, with touches of greenery, and lace. 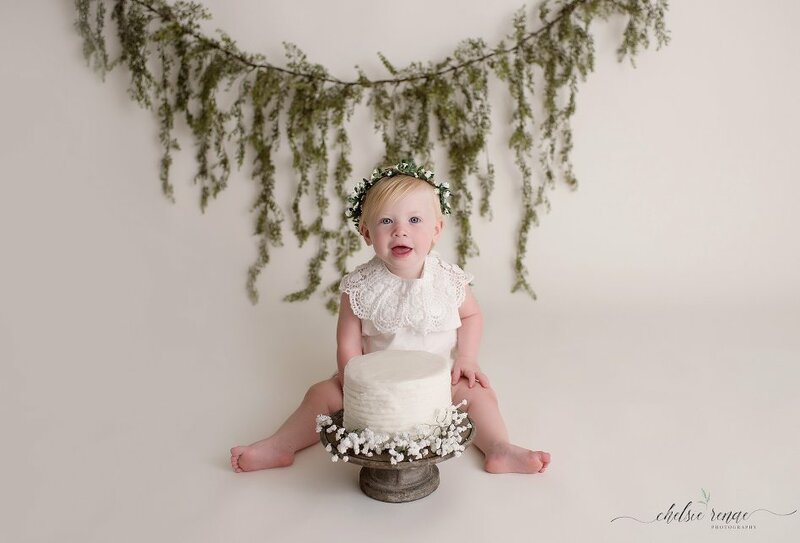 Sweet Aubree’s angelic face was the focus during her one year cake smash. I love having return clients that I get to watch their children grow up, I’m blessed to be part of their lives. Aubree has the Baby’s first year plan, so I’ve been watching her grow up so quickly over the past year. I have been lucky enough to shoot her newborn session, her mama’s maternity session, and her parents beautiful wedding. I can’t wait to continue working with this family and capturing these special milestones in their lives.